Organic Helichrysum Hydrosol is the heart of this product. 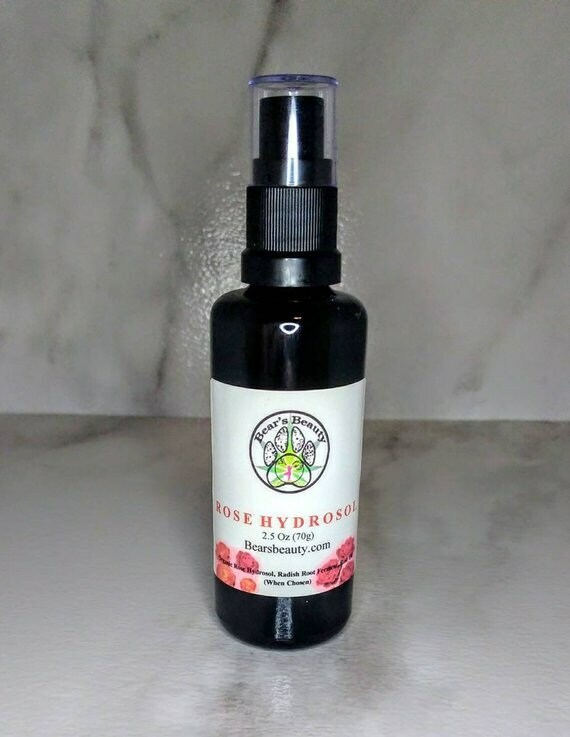 Hydrosols are specially distilled plant waters, made by artisans to release the volatile compounds in the botanical materials. Helichrysum, also known as "Immortal", is one of the most regenerative and soothing in the botanical world. It has been said to be anti-allergenic as well. Hyaluronic Acid draws moisture deep into skin, able to hold 1000 times it's weight in water. I use a blend of three sizes of Hyaluronic Acid to make sure your skin stays hydrated. The two come together to deeply hydrate + cool + refresh! HELICHRYSUM is AMAZING for redness and scarring! The smell is different, and if you are super sensitive, you may want to try mixing half and half with a Hydrosol like Rise or check out the HYALURONIC + ROSE MIST. This can be used as a toner + primer + setting spray + refresher! This is meant to be sprayed on your skin at any time. It can be used over makeup as well as under. In your skincare routine, it would be used as your toner step. Unlike toners packed with chemical junk, this will only do good things for your skin and makeup! No drying or stinging! Organic Helichrysum Hydrosol has a unique almost honey + tea scent. Made from the Organic Flowers of the plant, also known as Immortelle, has amazing anti-aging and anti-inflammatory benefits for all skin types. It helps with everything from scarring to active breakouts. It is also amazing for fine lines + wrinkles. Organic Lavender Hydrosol and Essential Oil further soothe and calm skin. Hyaluronic Acid, derived from marshmallow root, helps draw moisture into the skin. I use a combination of three different molecular weights to penetrate the deepest layers as well as prevent moisture loss from the surface of the skin. Great after cleansing as your toner.